Discipline is an essential part of raising happy and successful kids, but as more and more parents are discovering, conventional approaches often don't work and can even lead to more frustration, resentment, power struggles, and shame. 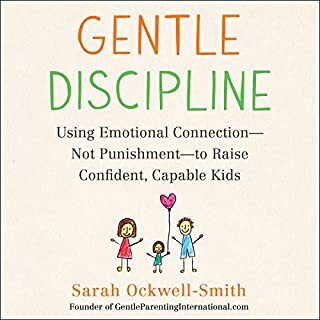 Citing the latest research in child development, psychology, and neuroscience, Gentle Discipline debunks common myths about punishments, rewards, the "naughty chair", and more and presents practical, connection-based techniques that really work. Getting babies to sleep through the night is one thing; getting willful toddlers and energetic preschoolers to sleep is another problem altogether. 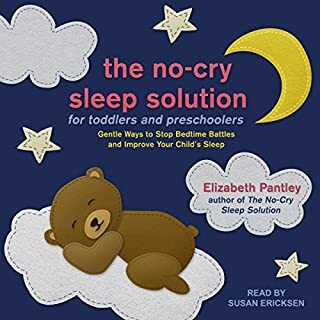 Written to help sleep-deprived parents of children ages one to five, The No-Cry Sleep Solution for Toddlers and Preschoolers offers loving solutions to help this active age-group get the rest they - and their parents - so desperately need. Parents will discover a wellspring of positive approaches to help their children get to bed, stay in bed, and sleep all night. If you're like most parents, you're probably feeling pretty nervous about potty training. But don't worry, help is on the way. This supportive guide provides step-by-step advice for a compassionate and emotionally aware process - one that focuses on positive connection rather than relying on gimmicks, pressure, or rewards (which usually backfire).Written by popular parenting expert Sarah Ockwell-Smith, creator of Gentle Parenting, this is the only audiobook you'll need to guide your child through this developmental milestone - without trauma, drama, and tears. The Gentle Sleep Book offers gentle, no-tears sleep solutions for exhausted parents of newborns to five-year-olds. A large percentage of parents find their young children's sleep - or lack of - challenging. 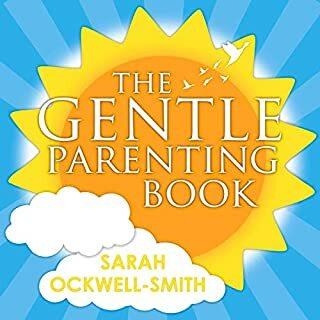 This new book from Sarah Ockwell-Smith, founder of BabyCalm, will be an indispensable guide for parents, whatever challenges they are facing with their child's sleep - from the day they bring their newborn home until their child is settled in at school. 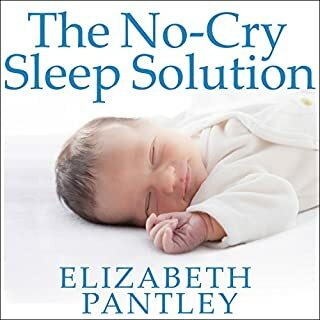 Examining everything from frequent night waking in babyhood through bedwetting in toddlerhood to nightmares and refusal to go to bed in preschoolers, this audiobook provides extensive scientific and anecdotal information plus plenty of gentle suggestions to help everyone get a good night's sleep. This is a gentle, evidence-based approach that doesn't involve leaving a baby to cry or shutting a sobbing child in his or her bedroom. Clear, easy to follow, sound advice. I wish we were given this when our baby was born. Even more I wish every parent who was told to let their baby cry it out (I was, many times) read this and told those "advisers" how wrong they are. Beautiful book that will change my family life. What did you like best about The Gentle Sleep Book? What did you like least? There is some good information in this book, especially on babies and newborns. Information we wish we had for our first daughter and had figured out by our second. There really isn't much content for 2 -4 year old despite saying "and Pre-schoolers". Which was why I had purchased it, so pretty disappointed. Lot of repeating. The last third seems as much self praise (or at least replied letters on how good the advice was, which filled a lot of time and wasn't useful) as actual advice. Started fast forwarding towards this point. There seems to be differences between US pediatric practices verses UK pediatric practices, so how do you know what's best? And honestly the one thing she drills on is "go with your instincts and not what people are telling you". I agree with this concept. A must read for anyone caring for children! This was a fabulous book and so helpful. I'm a Birth Boot Camp Instructor and mom of 2, and purchased this for help with my youngest who is currently bedsharing. I will recommend this to my students as well, and honestly to anyone caring for children, especially those who are with them in the evening and at nap times. I must listen again to retain all of her helpful information. This is a nice book, with some scientific data, but as I have a high need child, most things presented here did not work for me. Maybe they can work for you. A waste of money and time. If you want a book to tell you to accept that you will not sleep for the first 5 years of your life and there is basically nothing you can do about it, this book is for you. There are some basic tips that may slightly help with sleep but they are, in my opinion, so obvious that it is offensive to hear it from third party and have it presented as though this is helpful or new information. 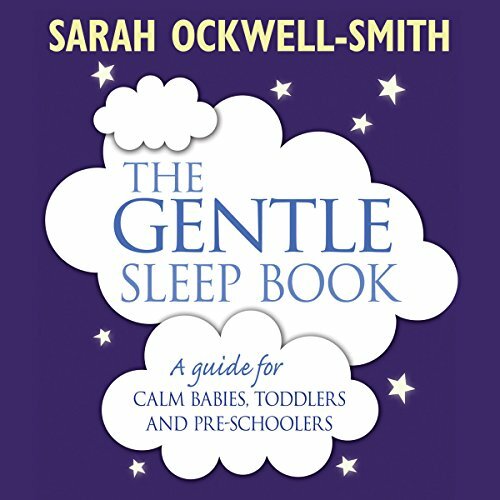 I thoroughly enjoyed The Gentle Sleep Book by Sarah Ockwell-Smith. There's so much great info in there. It's well presented. As a Mum to two young children, I prefer to parent along the lines of attachment parenting and so this book was perfect for me. I found the narrator to be a little robotic, though, so it was slightly off-putting at first, but I got over it! Gentle sleep tips - helps you adjust expectations and seek gentle practical ways to condition better sleep. Doesn't promise miracles but puts it in your hands to create a 6 week action plan with a few simple tools you can use. There are different chapters relating to ages up to age 5years that makes it even more specific - I have dipped into the ages I need but can revisit older as needed. I loved this book - it is perfect for those parents who do not want to go down the cry it out way or any other method which simply doesn't feel right. This is very gentle and gives you an understanding of what your baby may be going through and may need. There is no magic solution - many times it may be that our expectations are simply not realistic, but it gives you a lot of useful tips to implement which I found feasible, gentle and which did make a difference. Totally recommended. Thanks for telling me that I was correct when I decided to ignor all these cruel sleep training methods and stick with my feeling of loving my child instead of abandoning her when she needs me most. It is an ok book. It helps reassuring mums and giving a better understanding of children little minds. Good useful book with gentle and useful advise. Really enjoined listening to the reader's voice. You'll find some good advice and things to try, it's an OK book. not my favorite thou. Then, if you are still sleep deprived just live with it. Because that's normal.